Team Academy Trust - Junior Parkrun comes to Rock Park! Junior Parkrun comes to Rock Park! Junior Parkrun comes to Barnstaple! Calling all Pilton Bluecoat parents and children! There is a junior parkrun coming to Rock Park very soon. 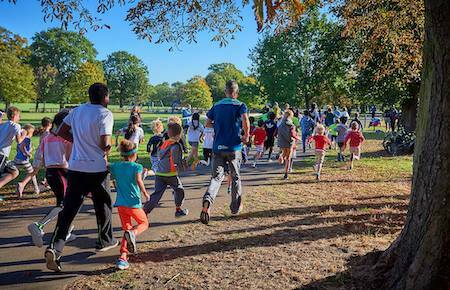 Junior parkrun is a free timed 2km run/walk for children aged 4 to 14. It starts at 9am, happens every Sunday and is great fun! The organisers of the Barnstaple junior parkrun are still looking for volunteers for their trial run on Sunday 20th May and their inaugural parkrun on Sunday 27th May. What is Barnstaple junior parkrun? The event takes place at Rock Park, New Rd, Barnstaple, North Devon, EX32 9AQ . See Course page for more details. Every week we grab a post parkrun coffee in the Tarka Tennis Centre - please come and join us!